It’s been feeling very summery here recently. Even when the sun isn’t shining it’s been rather muggy and warm. 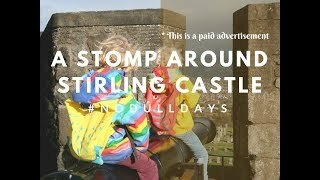 Brilliant for getting outside and playing with the kids! 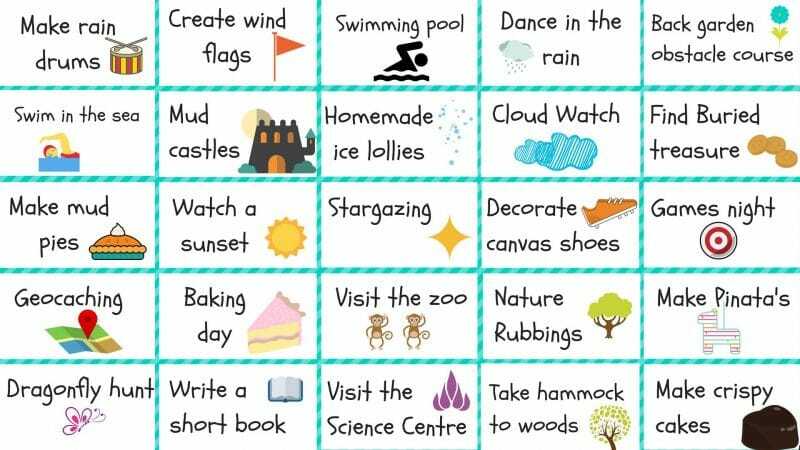 With summer in mind I thought it would be a fab idea to get the children to make up their own summer ‘bucket list’ this year. 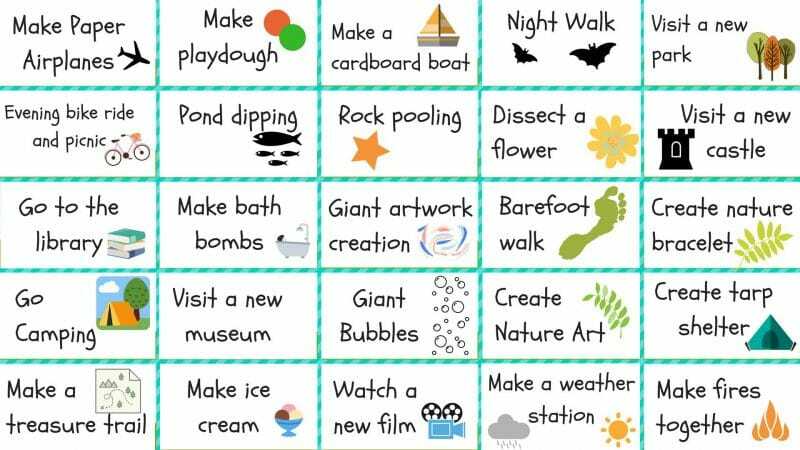 I came up with 50 different ideas for activities they might enjoy doing this summer and the idea was for them to choose around 20 or so that they would each like to do. 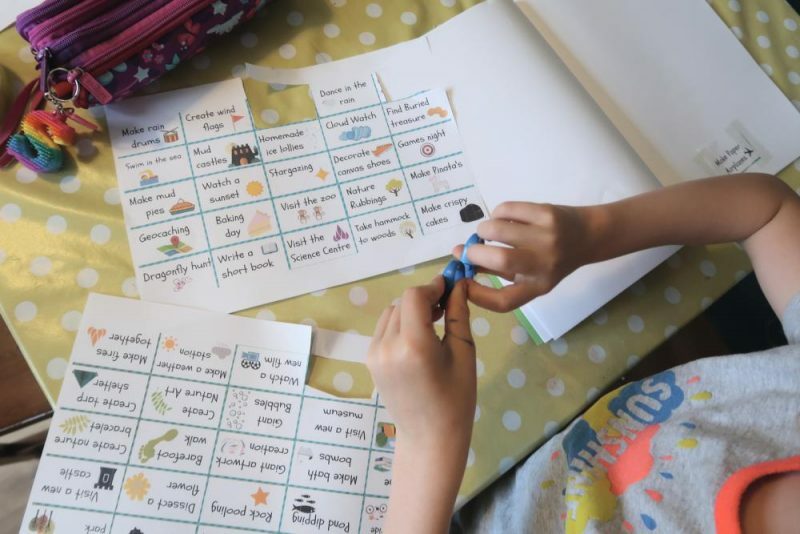 The 20 chosen activities can be cut out of the printable sheets and stuck in separate pages in a plain notebook. 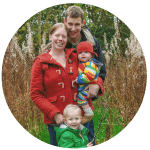 Once the children have completed the activity they can write, draw or even stick bits down (I’m thinking along the lines of tickets or leaves) in their journal notebook. 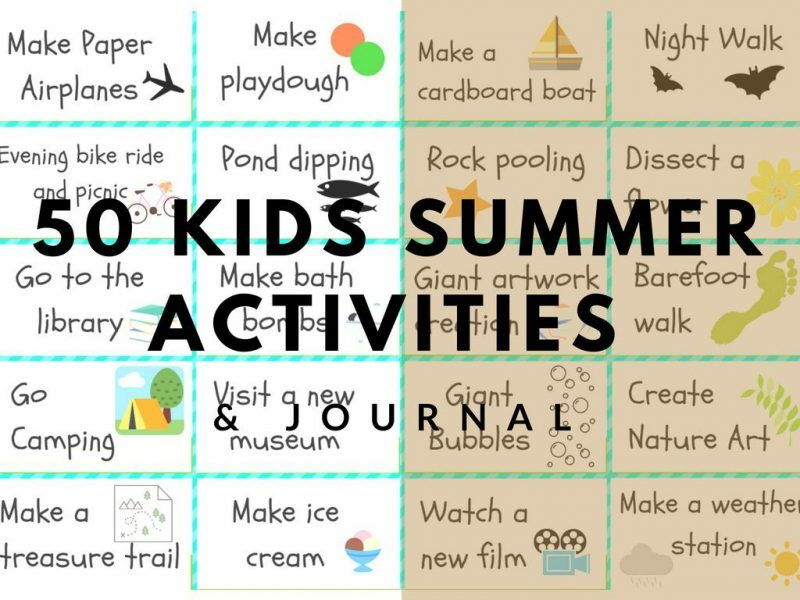 It will create a great reminder of everything they do over the summer and hopefully it might encourage some independent writing and drawing too! 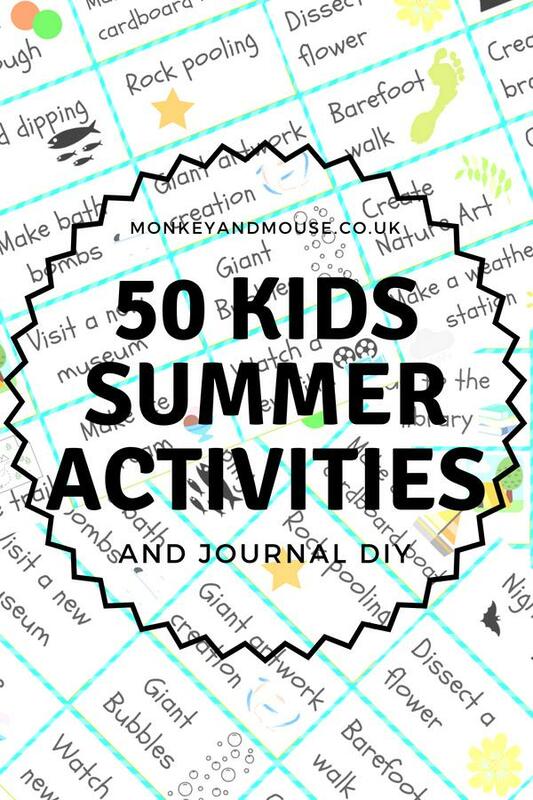 Click here to download the printable PDF of the 50 different activities. I’ll update with photos of our finished journals later in the year, but here is a photo of my eldest choosing his journal activities. This is such a good idea. We did something really similar last year and will probably do it again. 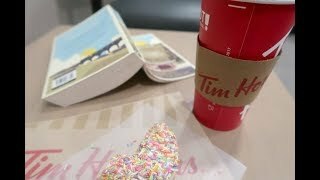 I found it really useful in terms of making sure we filled our time.